trust me ur neon look looks far far more better than a skirt of shorts !! fab! 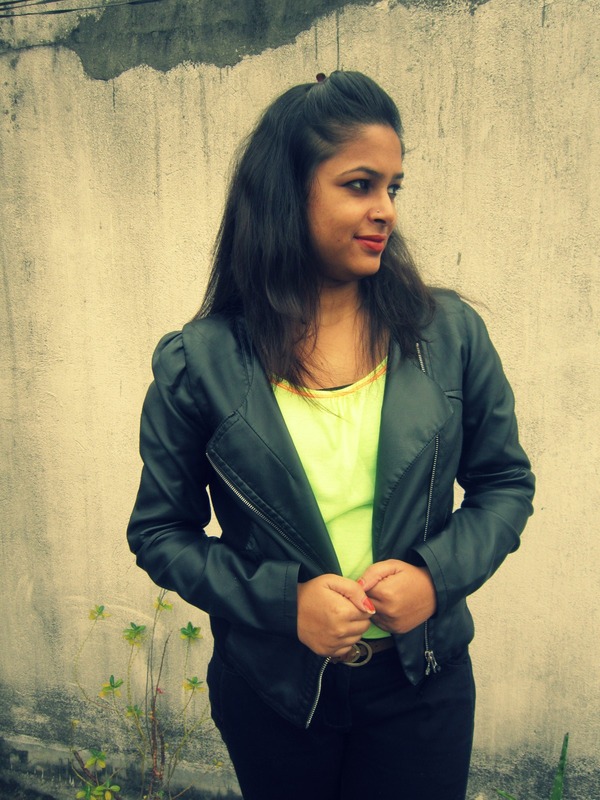 Leather and neon? What an amazing combo! You look like a fashion gangsta! Love love the look! Neon looks great! And jackets.. well I never thought about them. But I see I should now. I love your shoes. Love love love. You should do a DIY post on it, missie! i Love this outfit..i have seen the jacket in VM but i wasn't shopping then..
That jacket looks awesomely badass!! I am not much of a leather person too...but then, looks like I should get a jacket soon! 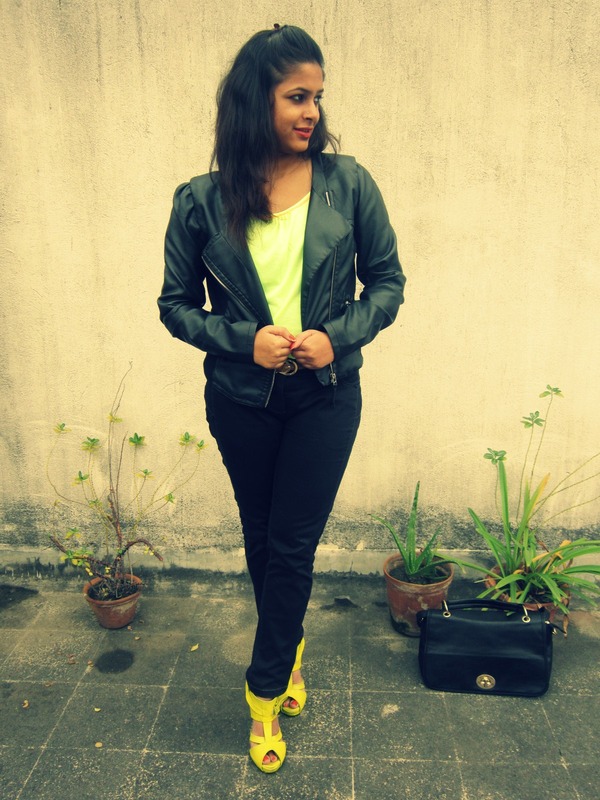 And the neon + leather pairing is just so chic! Who traded her floral print hairclips for a desi Angelina Jolie? You look yummy(all the pun intended)! 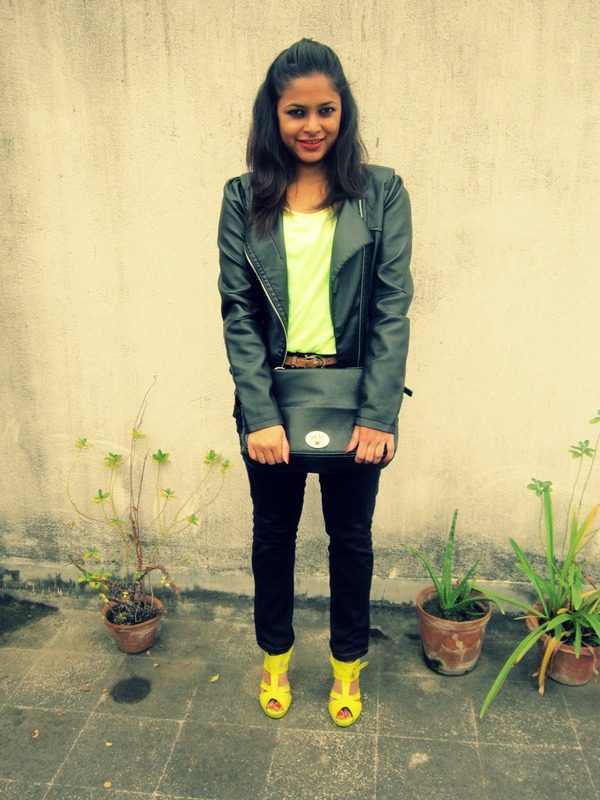 your blog is just fab, I luv ur outfits n I cud very much relate to ur style! 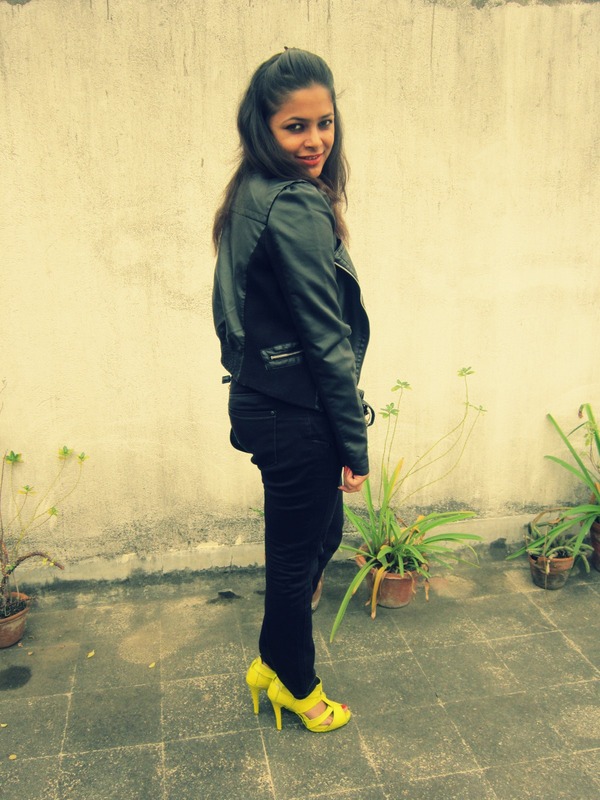 you look so chic :) And , thumbs up for that heel once again.That jacket looks awesomely badass!! I am not much of a leather person too..